Radical cation of hydrogen sulfide is generated electrochemically by γ-irradiating a Freon matrix, under the action of single-electron oxidants (sterically hinderedo-benzoquinones). It is shown that the radical cation exhibits properties of a superacid. 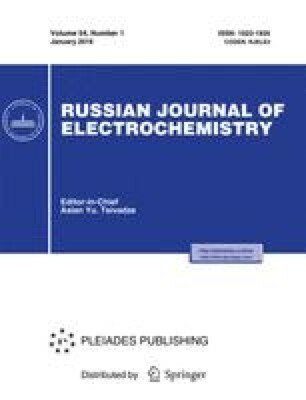 The possibility of obtaining thiopyrans and salts of thiopyrilium from substituted 1,5-diketones during an anodic oxidation of molecular hydrogen sulfide to radical cation in acetonitrile is studied.